This short video (with some fun integrated graphics) is from an interview I did with El País (the largest newspaper in Spain). It highlights some of the emerging technologies and approaches which have the potential to shift health, medicine and biopharma from an intermittent and reactive physician-centric mode, to an era of more continuous data and a proactive approach in which the individual is increasingly empowered and integrated into personalized wellness, diagnosis and therapy. The video is below and some associated thoughts follow. Digital diagnostics is coming to the home. Examples range from an eye, ear and throat exam—using connected devices designed for the patient like CellScope, MedWand and Tyto—to cardiac exams enabled by low-cost EKGs (AliveCor and Kito). Some devices will even do automated interpretations (i.e., the EKG interpreted by the app and sent to the cloud) where the diagnosis and management of disease will increasingly be enabled outside of the usual clinic, ER or hospital. Wearable patches that integrate multiple vital signs, such as those developed by Vital Connect and Proteus Digital Health, will enable more complex disease management and monitoring with ICU-level data—EKG, respiratory rate, temperature, position and more—outside of the clinical environment. Connected, continuous and contextual measurements integrating behaviors detected by smartphone and internet of things (IoT) metrics—ranging from movement to social network activity—will be increasingly used in proactive mental health. Pioneers in this space include Ginger.io and technology platforms like Beyond Verbal (which analyzes the voice to detect emotion). Altogether, as the sensors, wearables and other elements become commoditized, it will be those platforms that can leverage the data to manage, interpret and create the “check engine light,” or “OnStar for the Body” that will have the real value in bringing better care at lower costs. Clinical care will increasingly utilize technologies in the home or pocket of the patient or caregiver. The era of the “medical tricorder” (currently being spurred by the $10M Qualcomm Tricorder XPRIZE) will enable far better triage, diagnosis and guiding of therapy than we have available today—often, at best, a digital thermometer. All this will be combined with AI to make sense of the information and trends. Scanadu, with their Scout device, is already in FDA-sanctioned clinical trials with thousands of devices being tested in the field and as part of the XPRIZE competition. While live chats with a clinician are now common (from MDLive to Doctor On Demand), asynchronous care is coming. New platforms include Curely which enables you to send text and images and allows the clinician to take their time, do research, and provide guidance. Don’t want to wait for a dermatologist? Try iDoc24, and send an image of your skin to a dermatologist for a consult. As payors, payment incentives and larger healthcare systems increasingly get on board with value-based incentives, it will increasingly be your own clinician, not a random virtual one, that you may connect to. Feedback loops connecting patient and clinical care team will also be utilized—as exemplified by HealthLoop—to interact and proactively take action with patients following interventions. This will range from surgery to antibiotic prescriptions to tracking (enhanced with machine learning) chronic disease patients at home as is being pioneered by Sentrian Remote Patient Intelligence. As apps, the internet of things (IoT) blends with the internet of medicine (IoM), we will go “beyond the pill.” Apps will be prescribed with many drugs and other interventions as a means to track, tune and optimize, from diabetes to skin conditions. Managing anxiety and depression, ADHD and sleep disorders and improving mindfulness and cognition with brain computer interfaces (like the Interaxon Muse) will be integrated with video gaming (as pioneered by Dr. Adam Gazzaley and his UCSF lab). Sometimes the app alone will be the therapy. Omada Health and their app plus connected wearables and a social network aimed at turning around pre-diabetic individuals is an example of effectively prescribing behavior change. More of healthcare is becoming mediated by digital, connected and mobile health (all buzzwords…soon it will just be health) and augmented with AI and machine learning—but these capabilities won’t really become useful until they enter into the clinical workflow. No clinician wants to log into multiple apps or have more raw data to sift. We are still in the early days. Wearable and other health data is just beginning to flow through smartphones and into the EMR through platforms such as HealthKit. As incentives shift increasingly to value- and outcome-based care, the impetus to prescribe and connect the devices, apps, data and analytics into the clinician dashboard and workflow will become commonplace. 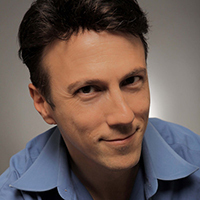 Daniel Kraft, MD is a physician-scientist, chair for medicine at Singularity University, and founder and chair of Singularity University’s Exponential Medicine conference.